So, every main series has had an evil team. What do you think Black/White's is going to be? Do you think there will be two? What will be the story? Will there be an evil team at all? Personally, I think that in one version, the evil team will capture Reshiram, making the sky permanently bright, and in the other, Zekrom will be captured, making it permanently dark, and you have to stop them. They could be called something like Team Tempus, or something like that. I personally would like three teams, and heres why. The teams would be team Lumis and Team Helius (Moon and Sun) and the third would be Team Terris (Earth). Lumis and Helius are competeing Cold War style, eg. who has more members, who can steal the most Pokemon, etc. Team Terris, on the other hand, is trying to break up the rivalry, and they also claim to be the "good guys." All three teams are trying to get their respective legendaries: Lumis - Zekrom, Helius - Reshiram, Terris - 3rd special edition legendary. Lumis and Helius are trying to capture their legend to destroy each other, and Terris is trying to destroy the both of them, ending the rivalry. Well since I believe that both of the new legendary dragons represent Yin and Yang, I believe that that is what the evil team will go for. Light and Darkness can not coexist because it would cost chaos so the team will probably be called Team Chaos (yeah I know it sounds stupid). But I think that the team will try to capture or absorb the power of the dragons so they can throw the world into chaos. I'm gonna go off of Blarg's and Chaos' idea. I think there should be two teams, and they should both realize that light and darkness can't coexist. One team, the one in black, will have the false idea that they are good guys, and go to destroy the darkness by summoning the dragon Reshiram. Though they have "good intentions", their plan will end up driving the world into chaos. In pokemon white, the exact opposite. The team will know they are bad, and try to summon Zekrom to throw the world into eternal darkness. The Yin and Yang idea, though not bad, and certainly probable, would more likely be Reshiram and Zekrom representing stages of the moon(full and new), and equally, an eclipse(lunar or solar...perhaps both). Reshiram would bring forth an endless cycle of full moons, causing massive tides in addition to god-knows what, while Zekrom summons a string of new moons, eliminating tides among other things. This leads to an increase/decrease in harnessable power, while the third game wants both in order to bring an eclipse, which can effectively nail both effects for some sinister plan/weapon. Again, the Yin Yang concept is cool and conceivable, but the Light without Dark(or vice-versa) kinda kills it, seeing as they need each other in order to work. I think there will be a team separation, like in RSE. I'm gonna go ahead and say Team Bright and Team Shade, or something else like that. PokéBecah made the point of the names of the legendaries, as well as Hiun City, being directly related to the sky. Reshiram means "To make the sky light" while Zekrom means "To make the sky dark." The goal of Team Bright could be to fill the world with eternal light, while Team Shade could be aiming to cloak the world in eternal darkness. This could make for an interesting dynamic on the time mechanics, where the world is stuck in Mid-Day or Midnight lighting for a while, like with RSE's Groudon and Kyogre effects. Hm, seems like in this generation it will be light, not color, or terrain, or realities for people to fight over. I think this is quite fascinating. To be honest, I believe that Nintendo will do something unrelated to the names, as Ruby and Sapphire don't directly make one think of land and sea. I love the idea Silverbullet made. Since light and darkness can not coexist, it would be cool to have a new team appear in the three game or a single crazy villain appear to try and bring the dragons power together to release a pokemon of chaos. @Chaos19 - Shocari already pointed out how light and dark not being able to "coexist" is really ridiculous. You really can't have one without the other still be able to function. I like the idea of the Yin and Yang relationship of the legendaries and possibly also having that relationships pertaining to the teams as well. Although, I think I like it more when there is only one team, seeing as Ruby and Sapphire really didn't make sense until Emerald, so I hope they don't try that again. One team simply trying to control either the natural light supply of the world (by using both Reshiram and Zekrom) could try and extort things from the people and what not. Make them more of a real world criminal organization, as opposed to the teams in the past two Gens that were really out there. Also, please don't make them some "misguided" people who realize their mistakes and wish to make up for their mistakes. Have the leader more like Cyrus and be so self-involved and insane that they won't give in when defeated and will stay that evil prick that you love to crush. @RedRising - LIGHT AND DARKNESS CAN NOT COEXIST! Take a lamp into a pitch black room and turn the light on, all the darkness in the room will leave. Turn the light off and the darkness will return and the light will leave. Light and Darkness can not be at the same place at the same time. And don't use shadows because something must block the light for the shadow to exist. If you move the block then the shadow or darkness goes away. That is what it means to coexist - you must be able to be at the same place at the same time. Chaos, here's the thing: light CREATES shadows WITH or WITHOUT something obstructing the light. If I take a lamp and set it in the center of apitch-black empty room, turn the lamp on, and remove the lampshade, guess what? That light is only going to illuminate a SMALL PORTION of the room. And as for they can't coexist in the same place at the same time, they're both in the room, now aren't they? You are most likely going to say "well, they're not in the EXACT same place" or "they're not right next to each other", the only two counters to my statement. 1) NO TWO OF ANYTHING CAN EXIST AT THE EXACT SAME SPOT AT THE SAME TIME. OF ANYTHING. 2) The dark IS right next to the light; each borders on each other. No matter will ever occupy the same place and time as other matter. It is impossible for two somethings to occupy the same space. Two atoms-No. Two QUARKS cannot take up the same exact space as each other. And light can't exist without darkness. No light, no shadow. Shadow is the absence of light, so if you take that away things just become a hell of a Quantum Physics Final. As for the name of the team... anything goes, really. It's almost confirmed that they are themed on the weather. Now that would be awesome. I will worship B/W forever if that happens. The weather? Seriously? I really doubt it, seeing as RSE's main legendaries were centered around the weather. If they are related to the weather, it will seem sort of... like they're running out of ideas so they're using old ones. Which wouldn't make sense at all, because there's so many things they could base their legendaries on. Like life/death. That would be pretty cool... Hang on, that makes me think. Reshiram looks sort of angelic to me and Zekrom looks very... dark, otherworldly as well. Maybe they are based on life/death. Ah who knows. I like the Yin/Yang idea, but I think someone got the whole point of it wrong back there somewhere... Yin/Yang represent harmony, the balance between dark and light, soft and hard, female and male. The universe is made of Yin and Yang, perfectly balanced. Each is just one part of a whole. So if one part becames more powerful, then the balance is shifted which ruins the harmony, creating chaos. Which technically means that there is no such thing as 'evil' and 'good', just colliding forces. If Yin/Yang were to be put into the games, I think it would be kind of like this: Reshiram and Zekrom represent Yin and Yang and together are harmonious. But then the evil team enters the picture and shifts the two legendaries balance with each other, creating chaos. Why they'd do this? I don't know but one idea I can think of would be to gain profit from the chaos that would come. Oh and I second Shiny. Having your rival be a part of the evil Team would be awesome. Weather? Me thinks we already had that in Gen III. I'd be interested in seeing where you saw this "almost confirmed". Also~, I like Aura's ideas involving the Yin and Yang aspect of balance and it being unevened by the evil team. It would make something a bit different. One other thing that I was thinking of is a return to the basics, have the evil team not revolve entirely around Legendaries, much as they didn't in Gen I (and to a lesser degree Gen II, but that was a piggy-back sequel to Gen I). Make the team more of a stand-alone story apart from the Legendaries. Could be fun if done right. Well Rumors Have led me to believe that the Team is known as Team Plasma This is still yet to be confirmed their intents are to control Weather That is what im led to believe due to all the facts. Where are you getting these rumors from? I'd really like to know this source. Facts? What does Yin and Yang have to do with weather? What does Weather have to do with Plasma? I expect we'll be getting news on he evil team pretty soon. And if they're anything like Gen 3 and 4's evil team, a hint of their evil plot can be found in the dex entries of the mascot legendaries. Though personally, I'd like to see a team that isn't tied to a legendary, and is achieving their goals by their own power, much like team Rocket used to in the past. I'd personally enjoy seeing /a/ new team/s/ that are challenging, based off sun and moon light, ying yang, so forth. Hopefully not seeing the names of the Teams being, Team Sun and Team Moon, ugh the horror of poor names. Solar/Lunar? That's too cliche. WAY too cliche. There needs to be ONE team, and its name DOES NOT need to relate to the Legendary Pokemon. That way, the games will be more colorful and then you'd have to try and guess at what the team is after. I'd also prefer it if the team left the Legendary the hell alone and did something productive with their time, like being extremely evil while keeping up the pretense of helping everybody out, and getting the character to run around doing stuff for them to "help out", but later just is revealed to have been helping them conquer the land. They made double in Johto and Kanto , Team Rocket seems to old, Giovanni Is probably in his 50s, late 60s at the momment, Unless silver shows up as the new Team Rocket Commander i doubt they'll make a comeback. Also Silver would never be commander cause he hated Team Rocket remember. Team Trident "which makes no sense"
Indeed to the alittle off topic. 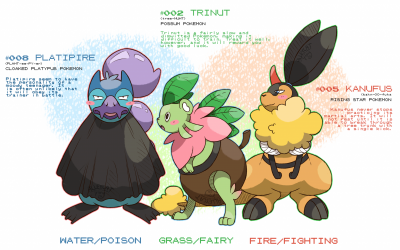 I don't really see a weather based team happening since weather changing pokemon had already made a appearance. I actually like what was said eariler, Team Solar/Luna, Day changing and Night changing pokemon haven't been done yet. However im expecting to see "Created from from the hatred/happiness of beings on this earth." 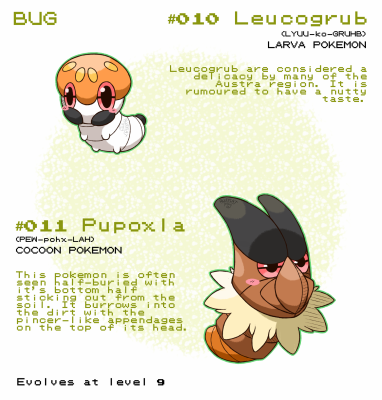 for pokedex information. Reshiram being made from the hatred, whilst Zekrom being made from Happiness. Basing off that Team Chaotic and Team Heero would make a halarious and interesting teams. Oh god, no duel teams please. That was the only thing I didn't like about R/SE . One team will do just fine, although I don't think it's going to be about weather as some people are expecting. I would love a team where you could actually y'know, have someone that you know in it, like your best friend from you're childhood and you guy's are at opposiste ends and fighting for justice in your own eyes. That would be interesting, having a more morally ambiguous team organization this time around, instead of a blatantly evil one. Team BNP. They kill all the black, gay and otherwise ethnic minority pokemon and replace them with superior Bidoof and Rattata. when did this turn into a philoshiphey lesson ? Gravedigging and bastardizing the English language? I'll have none of that.